What is an Elsanta strawberry? Strawberry ‘Elsanta’ (Fragaria x ananassa ‘Elsanta’) is a vigorous plant with deep green foliage; large flowers; and big, shiny, mouthwatering berries that ripen in mid-summer. This robust plant is easy to grow and a cinch to harvest, making it a good choice for beginning gardeners. It is suitable for growing in USDA plant hardiness zones 3 through 10. Interested in growing Elsanta strawberries? Read on for more information. Elsanta is a Dutch variety that has risen to prominence over the years due to its reliable yield and disease resistance. It is a supermarket favorite because of its quality, firmness, and long shelf life. It is grown across the United States and Europe. Some people have complained that Elsanta and other supermarket strawberries have lost their flavor, but it is theorized that this occurs when plants are overwatered in order to grow them quickly. This is a good reason for growing Elsanta strawberries at home! Plant Elsanta strawberries in a sunny, sheltered location as soon as the ground can be worked in spring. Early planting allows the plants to become well established before the arrival of hot weather. Strawberries require well-drained soil, so dig in a generous quantity of compost or other organic material before planting, along with a balanced, all-purpose fertilizer. Elsanta strawberries also do well in raised beds and containers. Don’t plant strawberries where tomatoes, peppers, potatoes or eggplant have been grown; the soil may harbor a serious disease known as verticillium wilt. Strawberries produce best with full sunlight for at least six to eight hours per day. Allow about 18 inches (46 cm.) between plants, and avoid planting too deeply. Ensure the crown of the plant is slightly above the surface of the soil, just covering the tops of the roots. The plants will begin producing runners and “daughter” plants in four to five weeks. 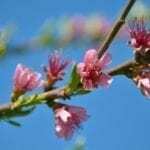 During the first growing season, remove blooms as soon as they appear to encourage development of more runners and a bigger crop in following years. Feed the plants after the first harvest in mid-summer, beginning in the second year, using a balanced, all-purpose fertilizer. Feed container-grown strawberries every other week throughout the growing season, using a water-soluble fertilizer. Water frequently but not excessively. In general, about an inch (2.5 cm.) 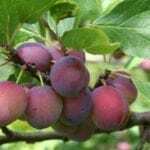 of water is sufficient, although the plants may need a little extra during hot, dry weather and while the plants are setting fruit. Weed the strawberry patch regularly. Weeds will draw moisture and nutrients from the plants. Mulch plants with well-rotted manure or compost in spring, but use mulch sparingly if slugs and snails are a problem. In this case, consider using plastic mulch. Treat slugs and snails with commercial slug bait. You may be able to control slugs with beer traps or other homemade solutions. Cover the plants with plastic netting to protect the berries from birds.